Firstly apologies for the delay in writing another Blog entry – spring is our busiest time for plant production and the combination of two weeks of hot weather followed by a return to cold nights has kept us fully occupied potting, watering and moving plants in and out of polytunnels as the weather changes. 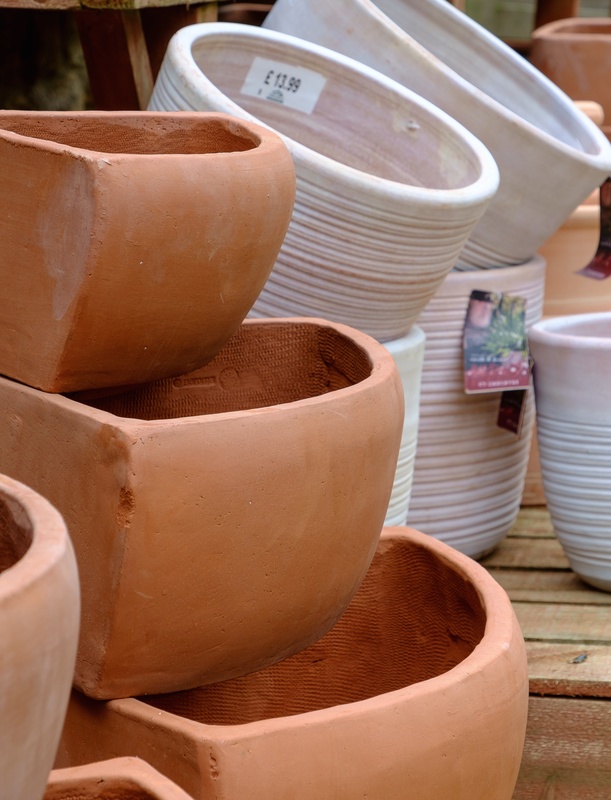 Spring is also one of the best times to visit our Plant Centre as we now have it fully stocked with some fantastic plants all looking fresh and ready to add to your garden. 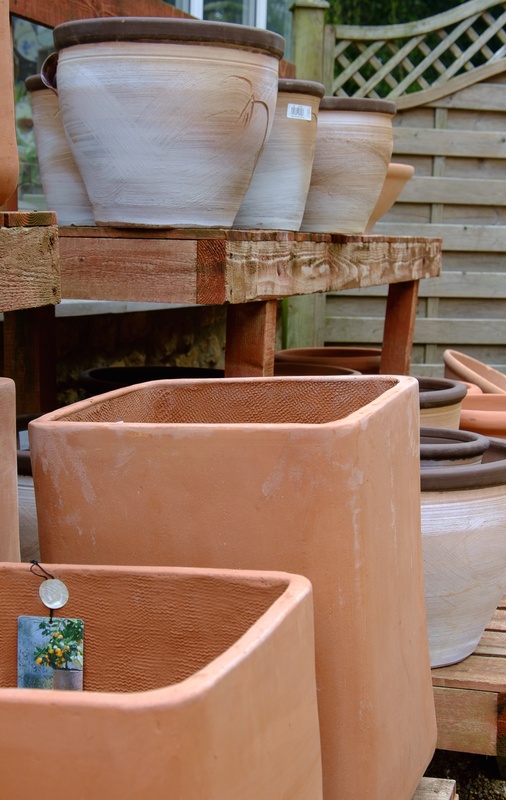 As usual we’re stocking the lovely plants from the Hairy Pot Plant Company which are grown in eco friendly coir pots and offer some great value hardy herbaceous varieties. 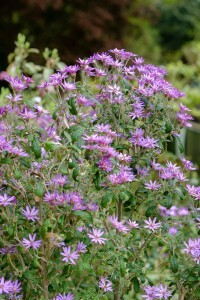 Plus we have a large range of Herbs and some exciting new hardy ferns which are grown for us by a local specialist. Also new in is a good range of Bamboos and our new crop of Tree Ferns – Dicksonia antarctica – will be ready to go in the next few days. 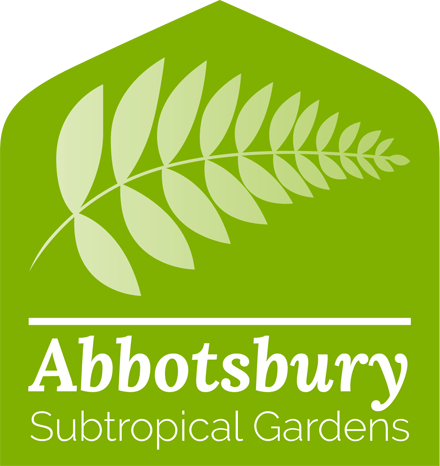 From our own nursery there are also lots of exciting plants now ready from hardy shrubs to exotic, sub tropical bedding and we’re getting them out on sale as fast as possible. 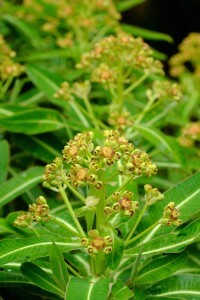 Plant of the moment has to be Euphorbia mellifera, the Honey Spurge from the Canary Isles. It’s a stunning evergreen shrub with emerald green foliage but at this time of year it’s the honey scented flowers that make it stand out. 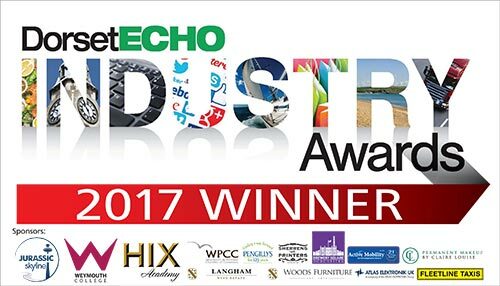 We sold out last year but have grown lots more this season so have plenty in stock. The flowers may not look that exciting individually but the local bees love them! 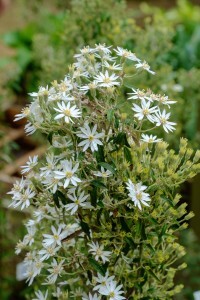 Our second choice at the moment would be Olearia scilloniensis, commonly called the Daisybush. 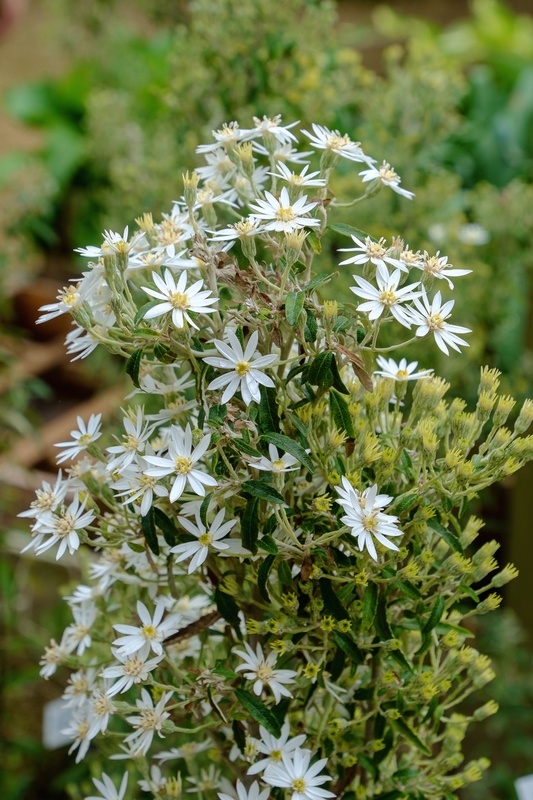 I see the RHS now call this Olearia stellulata but whatever the name it’s a great choice for a mass of spring flowers as the white daisies almost cover the silver grey foliage especially if you garden near the sea as it is both salt and exposure resistant. Plus it also comes in purple! Also new in this month are some beautiful new pots from Deroma in Italy including some unusual shapes in handmade terracotta. 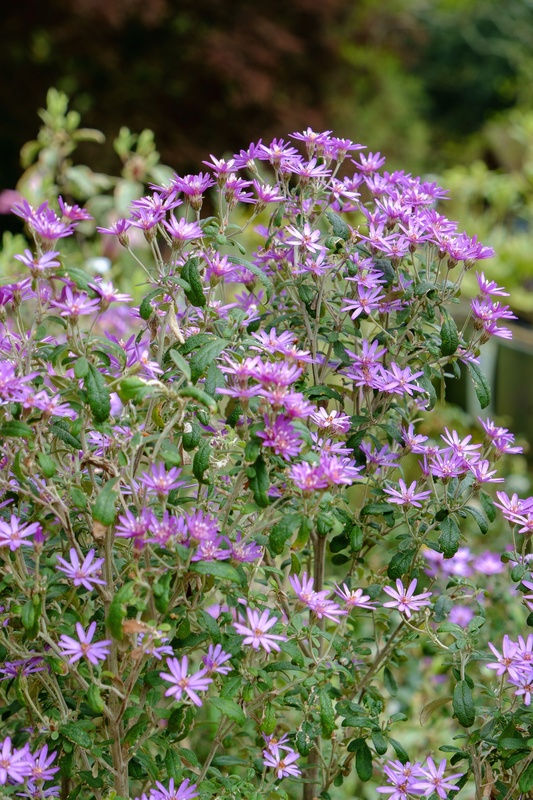 Perfect for a feature plant in your garden. And we still have a great 20% discount on the last of the pots remaining from our previous supplier so still time to pick up a bargain.